OR Enquire Now Why join vacspare trade? Please fill out the form below with any questions, comments or feedback you have and we will contact you shortly. Vacspare are proud to be a local Australian business that stock a huge range of vacuum bags, vacuum filters and vacuum cleaner parts. They can help you find parts for almost every kind of vacuum cleaner, whether it be a new floor tool, a new vacuum rod or even a new motor for your machine! We can source parts and accessories for almost every brand of vacuum cleaner, including popular brands like Miele, Electrolux, Hoover, Dyson and more. We have been operating in Australia for over 15 years, and have a huge amount of experience in helping our customers to track down specific parts for their vacuums. 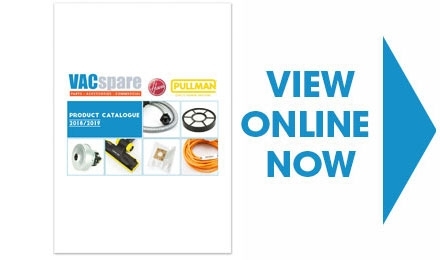 If you are looking for any parts and accessories for your vacuum cleaner, then the team at Vacspare will be able to help you out. If you wish to shop online, then we offer Free Delivery on all Vacspare online orders over the value of $49*! *Offer ONLY available on Published Retail prices (Trade purchases free freight is based on Minimum $249 in sales). We offer fully secure online shopping, and we try to ship your parts to you as fast as possible using Australia Post. If you can't find the vacuum parts that you are looking for, then you can give the Vacspare Customer Service team a call on 1300 722 886, or send us an email here.